This week I only have two items that seriously and curiously craving. I have the body butter in Vineyard Peach and I absolute adore the scent. I've been wanting to grab a new body exfoliator and this seems like the perfect option. I don't have many body exfoliators and I haven't tried any exfoliating products from The Body Shop. Ah, the necessary end of summer exfoliation. I've just heard amazing things about this product, including from a trusted source who's notoriously picky about everything she uses. Obviously, I'm intrigued. If it can really minimize pores, increase microcirculation, smooths skin and increase skin radiance then this might be worth the extra pennies for purchase. What are you craving this week? I love anything peach smelling! 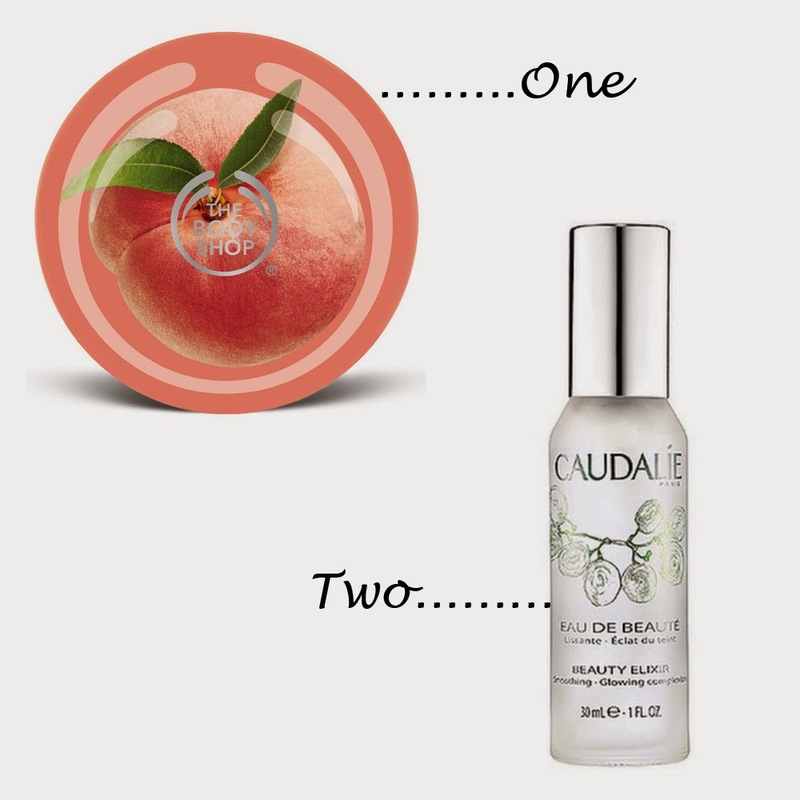 And the Caudalie Beauty Elixir sounds too good to be true, I must try it! Peachy lovers unite! :) After reading Caudalie's description, I felt the same! Yup! They sell them at Sephora stores. They sell them here in Canada at Sephora too and other French Skincare stores! I was so inspired when I read your blog post on it, I totally need a good exfoliator right now!